This week, HIghkixx is highlighting famed drag queen Joey Arias. Joey Arias is a New York City based performance artist, cabaret singer, and drag artist. Born in Fayetteville, North Carolina on October 3, 1969, Joey Arias started singing with a rock band, “Purlie”, (signed on Capitol Records!) and even did time with The Groundlings, (a well known improvisational group), before getting his first job in New York City as living window dressing at the Fiorucci designer clothing store. Here is some old film reel from day time talk show Real People on Fiorucci’s. At Fioruccis, Arias met Klaus Nomi, a legend in his own right, with whom he would go on to perform with as backup dancers/singers for David Bowie. The audio of the performance is available here in case you’re interested. Arias started performing in 1980s New York at Club 57 and is known for many things, including being the executor to the Klaus Nomi estate. (Klaus is very big in Berlin.) Arias is also known for his own Billy Holiday-esque cabaret act as well as his notable portrayal of Joan Crawford in New York productions of Christmas with the Crawfords, an original holiday spoof of Christina Crawford’s book Mommie Dearest. Arias has often performed with drag sisters Miss Sherry Vine and Raven O in New York City and film credit include Big Top Pee-wee, Mondo New York, Elvira, Mistress of the Dark, Flawless, and To Wong Foo, Thanks for Everything! Julie Newmar and Wigstock: The Movie. Thanks to Brightest Young Things for some fab photos. Here is a fab clip, (part performance piece/part interview), from the dragumentary Drag Time!, which is widely accepted as a “Paris is Burning!”- esque documentary — this time of New York and Atlanta drag queens and starring Lady Bunny, Miss Understood, Candis Cane, Joey Arias, Charlie Brown, Charles Busch, Flotilla De Barge, Jem Jender, Lypsinka, Varla Jean Merman, Charles Pierce, Raven-O, Shequida, Madison and others! Joey also did a stint in Las Vegas as the Mistress of Seduction in the show Zumanity, an “adult-themed” Cirque du Soleil show, which ran at the at the New York-New York Hotel & Casino. Most recently Joey teamed up with famed puppeteer Basil Twist for Arias with a Twist. My God was it fabulous. New York Magazine LOVED it, and for good reason. 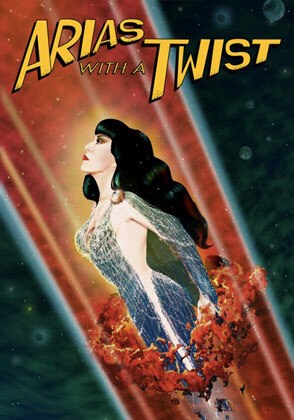 Here’s a clip from trailor for the Arias with a Twist Docufantasy…. Thanks to Beatiful Decay for the fab photos from the 2009 production of Arias with a Twist at the Redcat, similar but not to be confused with the 2011 production at the Abrons Art Center. Arias with a Twist has since ended, but keep an eye out for Joey; you never know what fab-wierdness he’ll be chin deep in next! Click to "like" HighKixx and keep up on drag happenings. RuPaul's Drag Race Season 4, Episode 2 aka "WWF in a Gay Club" Realness! Episode 10, Season 4: "DILFs: Dads I'd Like to Frock"